Comprising over 7,000 acres and surrounded by one million acres of the White River National Forest, Cordillera is not just one neighborhood but rather four totally different, gated, communities near downtown Edwards, each with its own personality. The Divide, The Ranch and The Summit are accessed on the south side of I-70 just off Highway 6 past Edwards along scenic Squaw Creek Road. The Valley Club is accessed on the north side of I-70 in Edwards, just past the Vail Valley Medical Center campus and through the private gates of The Cordillera Valley Club. At 8,000 feet, The Divide, where the homes are European in design and architecture, is home to the renowned Lodge & Spa at Cordillera. 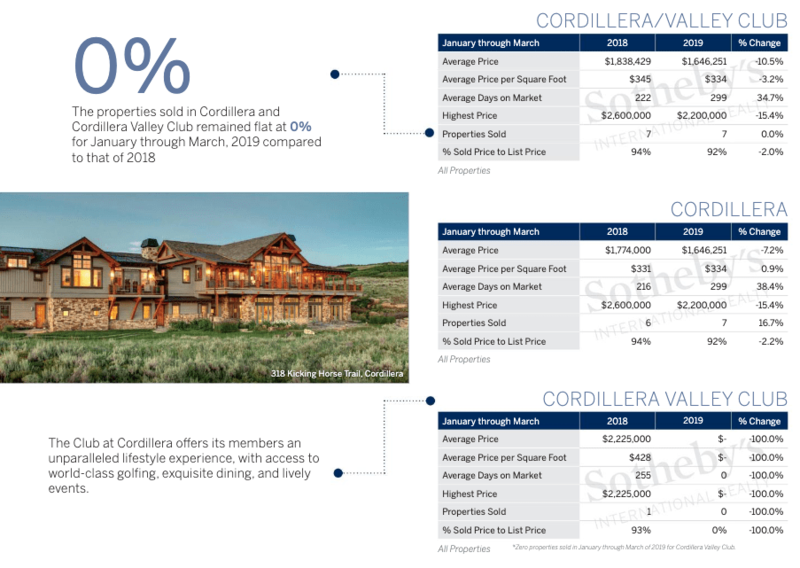 Homeowners in The Divide have access to all the amenities at the Lodge & Spa at Cordillera, including dining at Mirador and Grouse on the Green, as well as access to the Dave Pelz-designed Short Course at The Golf Club of Cordillera. Each hole of the 9-hole, par 3 course features challenging shots and fabulous views of the Vail Valley below. Formerly a working ranch, The Ranch’s homes largely reflect American West architecture with log, stone and timber. Homes in The Ranch provide numerous year-round opportunities to enjoy the beauty that Colorado has to offer. There are 21 miles of hiking and winter sports trails, as well as a Nordic ski track for winter enjoyment. Summer activities are augmented by the 18-hole, Hale Irwin-designed Mountain Course that challenges golfers with narrow fairways, while following the natural terrain of the area. The Trailhead at Cordillera, a two-story log lodge and community center, is located here and is home to the Cordillera Day Camp (or “Cordy Camp”), which includes an outdoor pool with water slide, playground, and teepees. Owners and visitors can dine at the delicious Timber Hearth Grille at The Ranch at Cordillera. With majestic views of the Gore and Sawatch Mountain Ranges, New York Mountain and the “Flat Tops,” The Summit is Cordillera’s highest community at 9,000 feet above sea level, whose architecture and design has been described as “high mountain.” The area is home to the Jack Nicklaus Summit Golf Course, with its Summit restaurant and clubhouse. This 18-hole course takes full advantage of the natural terrain and players enjoy challenging holes surrounded by the sage, aspen and spruce-covered rolling hills of Cordillera. The Valley Club is uniquely located on the Valley floor along the sunny, north side of I-70 in a high desert community comprised mostly of American West architecture - with some homes featuring more mountain-modern design. 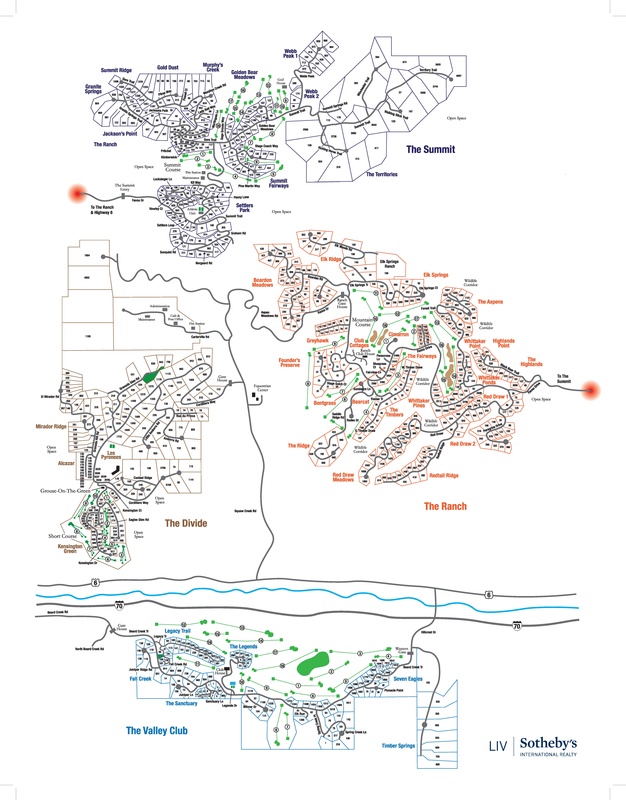 Considered to be one of the best course designers in the world today, Tom Fazio sculpted the 18-hole Valley Course into the high-mountain desert topography of the Cordillera Valley Club. Because of its southern exposure and lower elevation, this course can remain open for an extended playing season. The clubhouse and fitness facility features an outdoor pool and hot tub, as well as two tennis courts, and the Chaparral Restaurant. In addition to the world-class golf, hiking and Nordic skiing, Cordillera has its own equestrian center that can board up to 48 horses. For those owners and guests who don’t own horses, but enjoy riding, Bearcat Stables, located on the old Bearden Homestead, offers sleigh rides to dinner in the winter and single-day or extended-day adventures in the backcountry during the summer. If you still have energy after all the hiking, skiing, horseback riding and golfing that you’ve enjoyed, Cordillera property owners also have private access to 1.3 miles of the Eagle River for year-round, world-class fishing, as well as five private ponds that are stocked each spring with brown and rainbow trout.